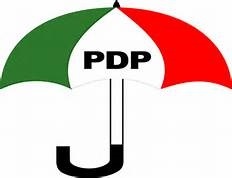 The Peoples Democratic Party (PDP) has announced the sale of its nomination and expression of interest forms to its members who are interested in contesting elections in 2019. The party’s National Organising Secretary, Austin Akobundu made the announcement in Abuja on Monday. The announcement followed a meeting by the party’s National Working Committee led by Prince Uche Secondus and state chairmen of the party. Bounce News was informed that the decision to start selling the forms was taken at the meeting. Akobundu said the form sales would end on September 6. While presidential and governorship aspirants are to collect and submit their forms at the national secretariat of the party, those aspiring to be in other offices were directed to pick up their forms in the state offices. Senate and House of Representatives’ aspirants were also advised to collect their forms at the Abuja national secretariat of the party, but were asked to submit at the state chapters. The notice indicated that Presidential aspirants were to pay a total of N12m, while governorship aspirants were to pay N6m. Those aspiring to go to the Senate and the House of Representatives are to pay N3.5m and N1.5m respectively. HAVE YOU SEEN THIS FUNNY NEWS HIGHLIGHT?